We're always reaching out to our community with presentations at conferences and user group meetings. Here are some recent presentations. If you would like us to present at your event, please contact us. 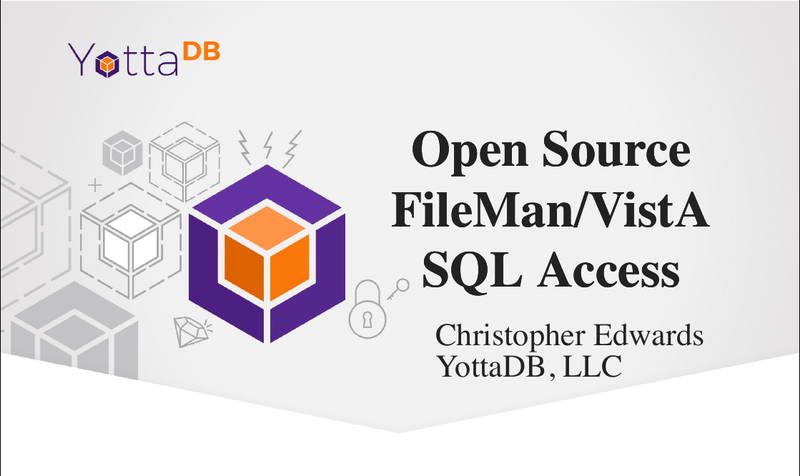 At the OSEHRA Innovation Webinar Series, Christopher Edwards spoke on Open Source JDBC Access to VistA FileMan Data and demonstrated the tools available, where to find the code, how to get started with the application, and how to contribute to development. 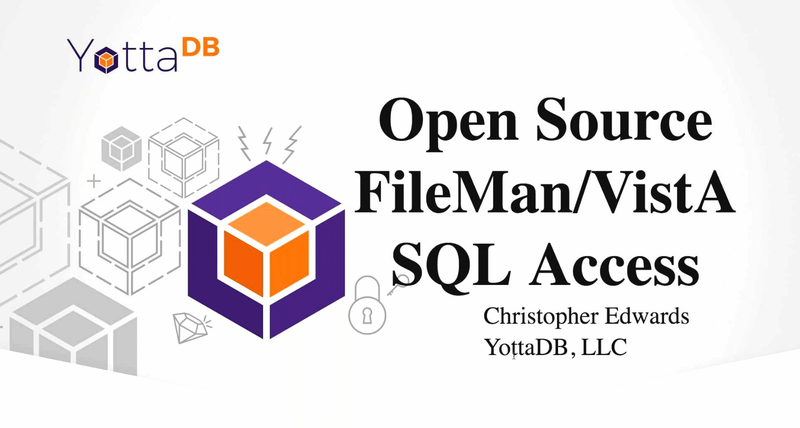 At the 36th VistA Community Meeting, and the 2018 OSEHRA Summit, Christopher Edwards spoke on SQL/JDBC access to VistA Fileman files using a completely free/open source software stack. At the 36th VistA Community Meeting and the 2018 OSEHRA Summit K.S. 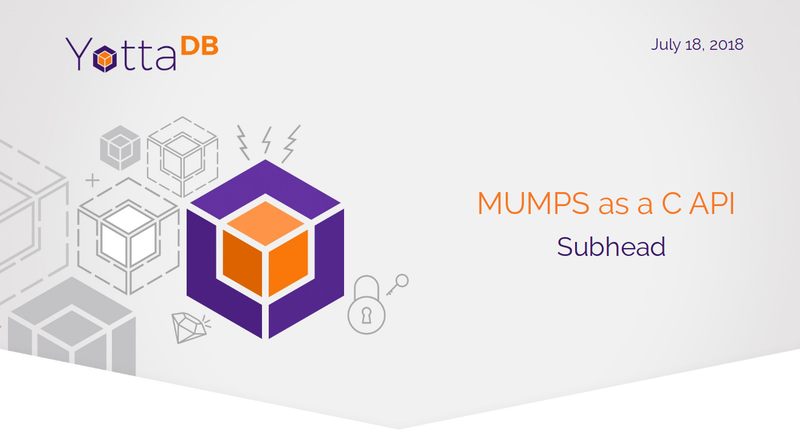 Bhaskar spoke on a C API for the M database, which is in production releases of YottaDB. At the 2018 SouthEast LinuxFest, K.S. 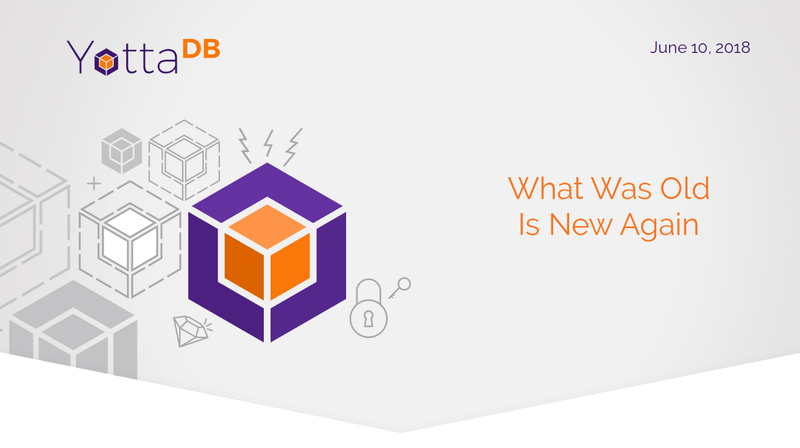 Bhaskar spoke about the heritage of M technology, and how one of the original NoSQL database technologies stays fresh and remains relevant today. K.S. Bhaskar spoke on Tuning YottaDB Performance to a group of YottaDB users.